What to see during Cambodia itinerary 1 week is a very common question. Everyone may know about Cambodia as it has majestic Angkor temples which were recognized by the UNESCO. To be honest, I am not a big fan of temples or pagodas or stupas. Before Cambodia holiday tours, I was a bit confused as I was afraid of getting bored by a place which is well-known for temples. Yet, Siem Reap changed my mind and I am pretty sure that people who have had the chance to visit this place all agree that this is a must-see. Besides Siem Reap, Battambang and Phnom Penh are 2 other places that I visited within our 01 week in Cambodia. Cambodia itinerary 1 week should cover Siem Reap for about three nights then Battambang for about 2 nights; when the last night can be spent in the capital city of Phnom Penh. Let me take you to Siem Reap first. 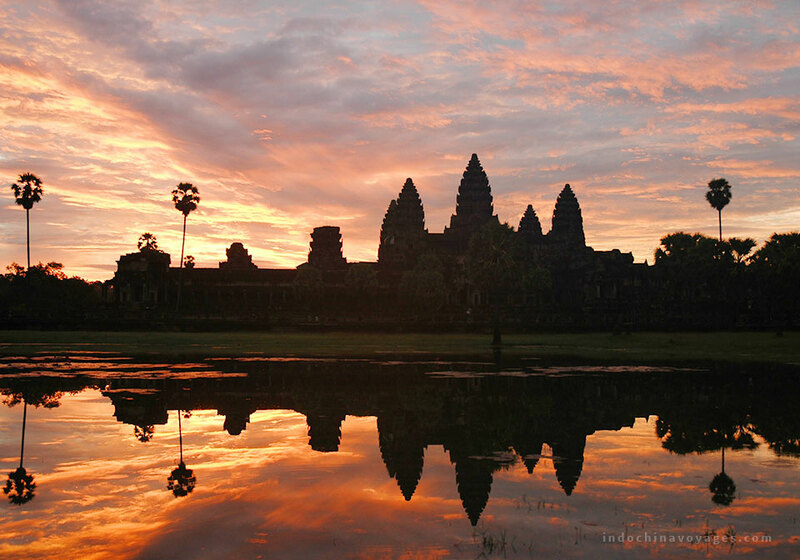 For early risers, sunrise in Angkor Wat is an interesting activity to be put in your agenda. I was looking forward to the sunrise event after seeing so many amazing photos online. For a sleep lover, it was not a simple mission to wake up by 04:30; go to the ticket booth to buy admissions for Angkor complex (with my own photo printed on the ticket) then drive to Angkor Wat. But you know what, there were so many early birds there. Some of them are photographers with big cameras and tripods. I bet that they had to wait overnight there in order to have a good spots for photo hunting. If you are lucky enough to have a clear sky without clouds, the view is splendid. Just a small note, from my experience, you should go back to your hotel for a buffet breakfast instead of bringing breakfast box. If you do not have up to 1 week for Cambodia and this country is just a portion of your whole South East Asia trip, you can cover only Siem Reap with Classic Angkor Wat tour in 4 days. 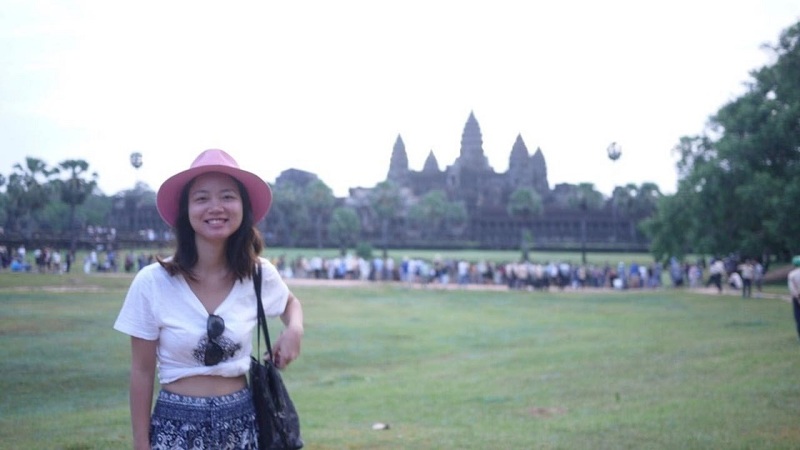 Angkor Wat and Angkor Thom are definitely two main temples that no one should miss. 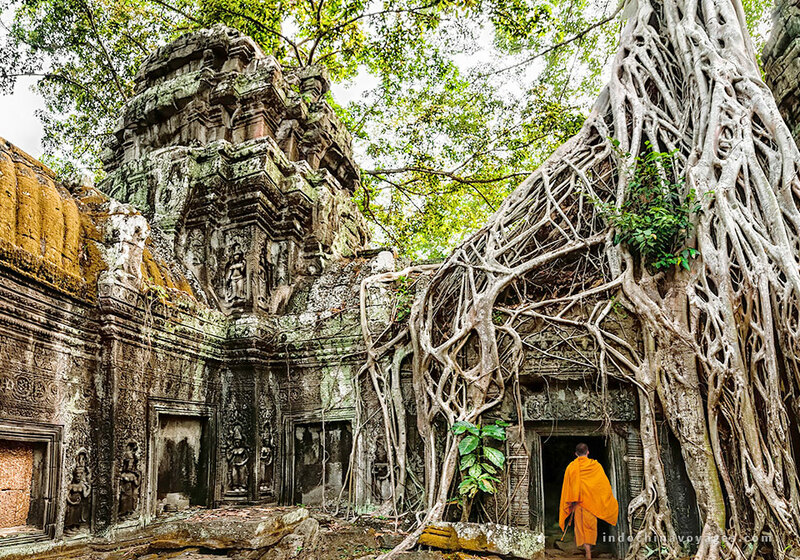 Another very interesting place is Ta Prohm with giant trees. This temple became very famous after Angelina Jolie filmed the movie Tomb Raider there. On the next day, my recommendation is Banteay Srei. The name of this temple means the Citadel of Women and it impressed me by the unique architecture, the color and stories. By the way, if you are interested in local learning and prefer to see other aspects of Siem Reap – go to Tonle Sap Lake and visit floating village. Our guide told us that most of people living on the lake are originally from Vietnam but now they do not belong to either Vietnam or Cambodia. An ideal Cambodia itinerary 1 week should also include Battambang, a city located along the Sangkae River. It took us around four hours to drive from Siem Reap to Battambang by private car. Trust that there are also local buses for route if you travel alone and prefer to save money. You just need to do some research or contact a local travel agent. This place gained my heart by its lovely colonial building, peaceful pagoda and the joyful bamboo train experience. It is very weird to see the locals get off the “train” and bring it out from the rail when another train from the opposite direction is coming. I am not sure if I remember exactly; but our guide told us that the rule is which one carries fewer passengers will have to leave the rail; or Cambodian passengers will get off the train because they pay less than foreign tourists. Our last stop was Phnom Penh which requires five hours travel from Battambang by road trip. 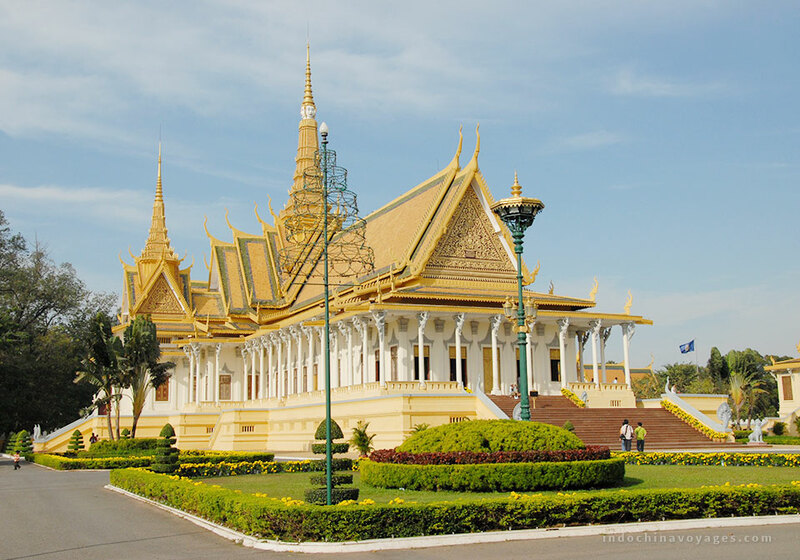 The capital city of Cambodia also has some interesting things to offer. They are the Royal Palace and National Museum. If you are interested in history and keen on learning more about Pol Pot regime, Toul Sleng Museum and Cheung Ek Killing Field are two places to visit. They offer audio in different languages so you can discover these sites on your own. Still, if you travel with your small kids, the prison is too extreme for them to see. Some people in our group could not help but cry when seeing and hearing about the victims of this regime. If you have a late departure flight, spend the last morning for shopping at the central market in Phnom Penh is good too. Prices are reasonable and you do not have to bargain much. Not like in Myanmar, you are allowed to wear shoes when visiting Angkor temples. Good walking shoes and cotton clothes are recommended. I found mosquitoes in Angkor Wat so it is great to bring insect repellent. If it is possible, you should also consult your doctor before travel to get vaccinated (malaria, etc). Meals are mostly Khmer dishes and you can get a good lunch or dinner by paying some of USD 12 per person. 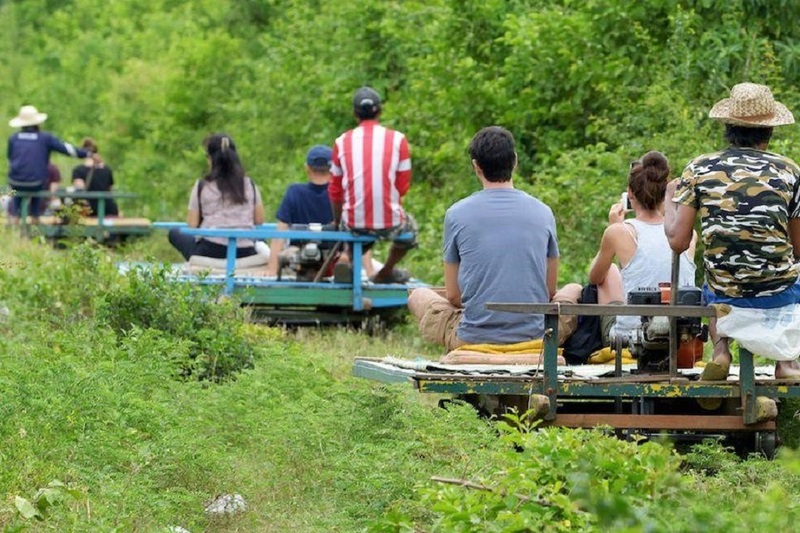 Phare Circus is a fun activity in Siem Reap that you may join for the evening. Still, the outdoor stage without aircon is quite hot. Provided hand fans are handy. Dinner with Apsara Dance Show is also something to think of. Table should be reserved in advance to make sure that you have a good spot to enjoy the dance. Crystal Angkor Restaurant is the place that we went for. For Cambodia visa, you can get e-visa or obtain upon arrival at the international airports Siem Reap & Phnom Penh. Each person just need to prepare 01 passport-sized photo plus USD 30 in cash for visa stamping fee. 1 week is quite enough for me to enjoy a Cambodia road trip. If you have more time, you should consider this Cambodia Highlight tour in 11 days, which covers all the destinations mentioned. Moreover, you can spend some extra days in Sihanoukville for a beach break. Koh Rong Sanloem sounds like a lovely place and I will definitely check it out on my next trip.